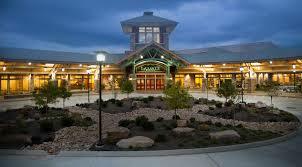 Smoky Mountains Lodging Guide: NATIONAL QUARTET CONVENTION HARMONIZES IN PIGEON FORGE! NATIONAL QUARTET CONVENTION HARMONIZES IN PIGEON FORGE! The National Quartet Convention rolls into Pigeon Forge for the second year in a row, making their home at the beautiful Leconte Center. From Sunday September 25th, through Saturday October 1st, 2017, joyful noises emanate from the Leconte Center as groups like The Hoppers, Karen Peck & New River, Kingsmen, Jeff and Sheri Easter, Tim Lovelace and many more gospel groups take to the stage. 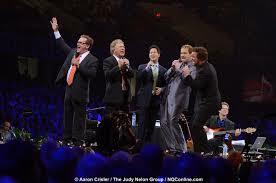 National Quartet Convention (NQC) is the largest gathering of gospel groups, gospel music and gospel music fans in the country. Over 40,000 people from more than 40 states gather each year to enjoy and celebrate the music of over 300 groups and visit with over 500 vendors of gospel-related items and events. For six days the exhibits are open f4:00 p.m. until 11:00 p.m., closing as the last gospel groups finish on the main stage. Each morning opens with Chapel with speakers, inspirational messages and glorious gospel music, followed by the Morning Main Stage Showcase, a Matinee and the NQC Artist Showcase. Each day wraps up with Evening Concerts from 5:30 p.m. until 11:00 p.m. This year the artists will be projected onto screens with a state-of-the-art video imaging system that puts everyone in the audience 'on the front row'. But the star of the event is gospel music, and the performers are the world's best. In addition to the groups mentioned above, the list includes Legacy Five, Mark Trammell Quartet, Dixie Echoes, Greater Vision, Kingdom Heirs, Whisnants, Freedom, Perrys, Ivan Parker, Talleys, Nelons, Soul'd Out, 11th Hour, Isaacs, Sneed Family, Triumphant and many, many more. For lodging information for the Smoky Mountain area go to http://smokymountainslodgingguide.com/, the Smoky Mountains Lodging Guide. Then click back to the Best Read Guide site for information on dining, shopping, live shows and attractions. There you will find coupons and more information. Enjoy your stay in the Great Smoky Mountains where you will immerse yourself in the beauty of God's mountain creations and the wonderful gospel music presented by the National Quartet Convention.